This biweekly column is sponsored by the Arlington County Department of Public Safety Communications & Emergency Management. 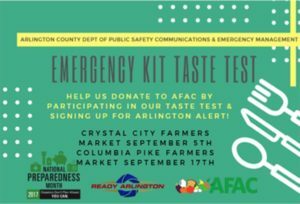 The Arlington County Department of Public Safety Communications and Emergency Management is celebrating National Preparedness Month during September. 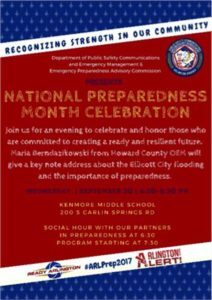 This is a great opportunity to highlight the importance of making emergency preparedness kits and developing a family communications plan. The department has planned several ongoing initiatives and events to take place during September around this theme while also incorporating our own emphasis on children and families. 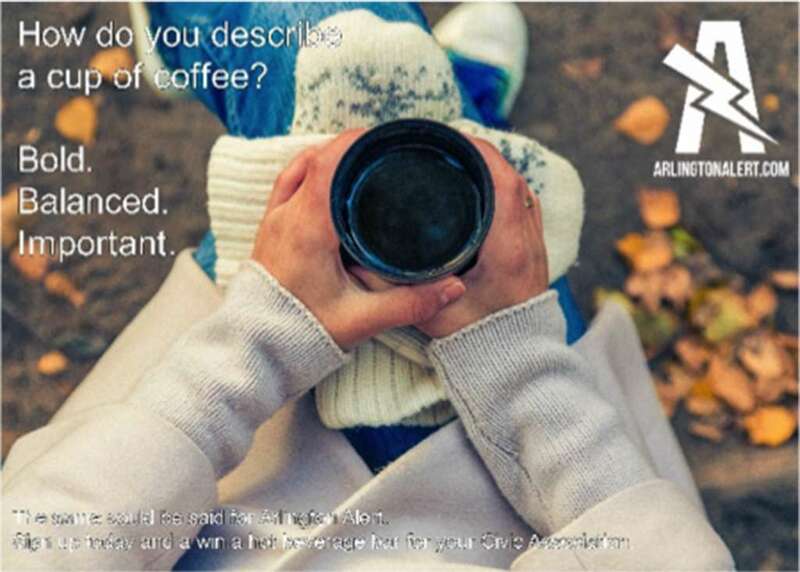 We are very excited to be working with Civic Associations for some friendly competition. 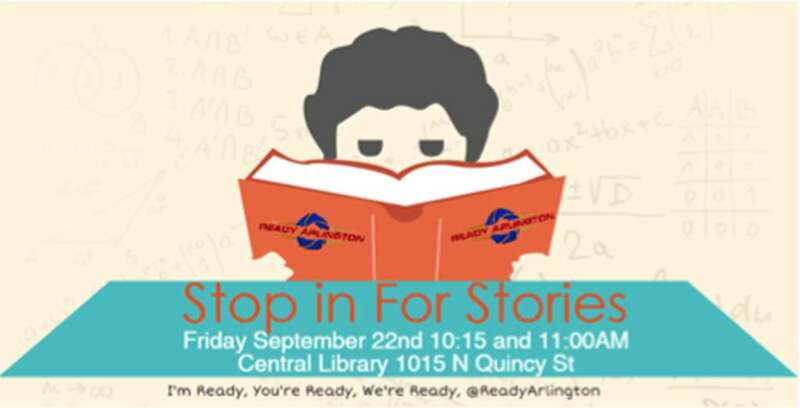 Over the course of September, we will be tracking Arlington Alert sign-ups by neighborhood. 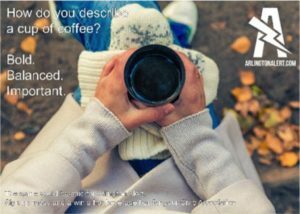 At the end of the month, the group with the most registrations will receive a special treat to enjoy for their fall festival celebration. 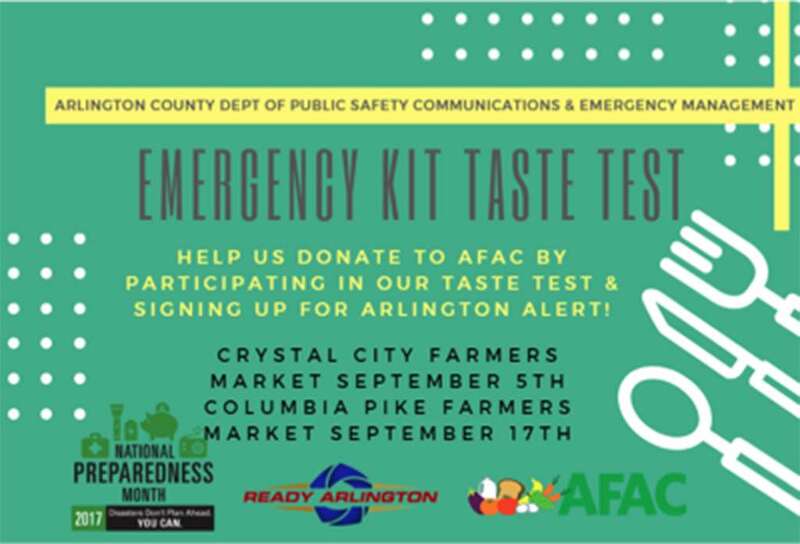 Our team will be at the Crystal City Farmers Market on September 5, and the Columbia Pike Farmers Market on September 17 doing a preparedness kit supply sample. We will have snacks to taste made from unconventional nonperishable foods that are great additions to anyone’s preparedness kit. Remember, best practices say you should have three days of food for each person in your kit. Join us for Stop in for Stories on Friday September 22 at 10:15 and 11:00 a.m. at the Arlington Central Library (1015 N. Quincy Street). We will be reading age appropriate books for children with emergency preparedness and family communications planning themes. Also stop by the Central Library all month long to see our partnership display with Arlington Food Assistance Center. The best way to stay informed during an emergency is to sign up for Arlington Alert. You will be instantly notified via text, email and/or phone with updates, instructions on where to go, what to do, what not to do, who to contact and other important information. 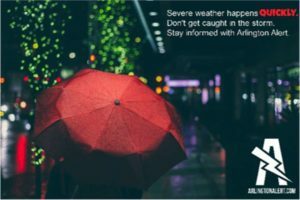 Arlington Alert is available to all Arlington County residents, commuters, visitors, businesses and their employees. For more information, visit ArlingtonAlert.com and sign up. To learn how you and your family can prepare for an emergency, visit ReadyArlington.com. On September 20, the Department of Public Safety Communications & Emergency Management will be hosting a capstone event to celebrate those in our community who are helping to create a ready and resilient future. 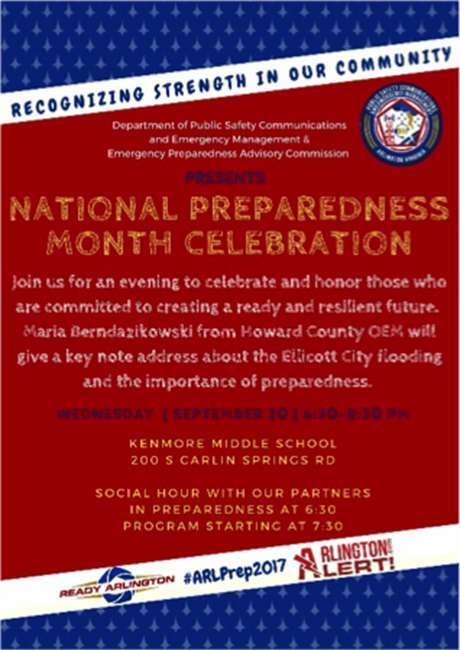 For more information on these events and all the other events planned for National Preparedness Month please visit our website at ReadyArlington.com, and follow us on Facebook and Twitter.